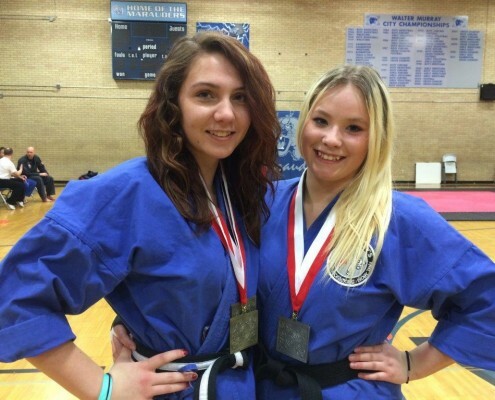 Sensei Raven Cheney and Sensei Shaylea Flasch showing off their metals after competition. 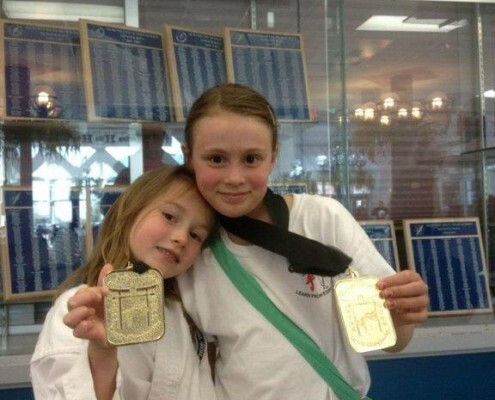 Cailey & Kristen Klein are all smiles after winning Gold. Cailey in Sparring and Kristen in Kata. 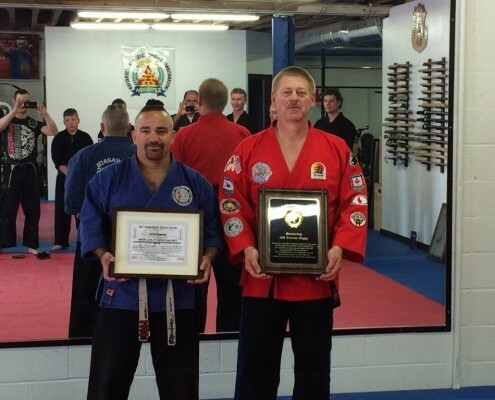 Master Lyle Cheney being presented his Master Certificate by Grand Master Trevor Higgs. 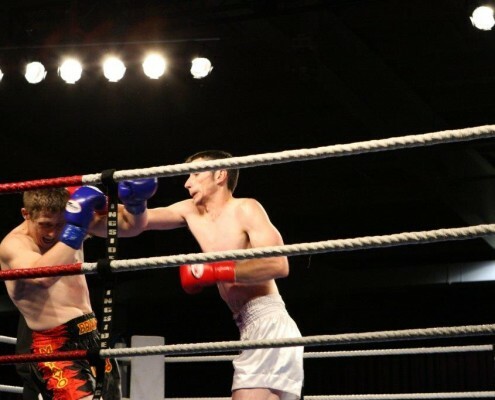 Christie Cormack taking direction from Master Lyle Cheney during her fight in the 2011 Super Fights. Stephanie Schmale smiles after winning her title fight during Winter Warfare 2010.